From yesterdays post you might have assumed I was chipper and up beat most of the day (if a little busy) but shortly after writing my post I came across a terrible discovery. My cat Baron had passed away during the night. This year has not been a good year for my cats. Just like for my poor Grum I need to process things and I want to do that in the method of a tribute to Baron’s life. 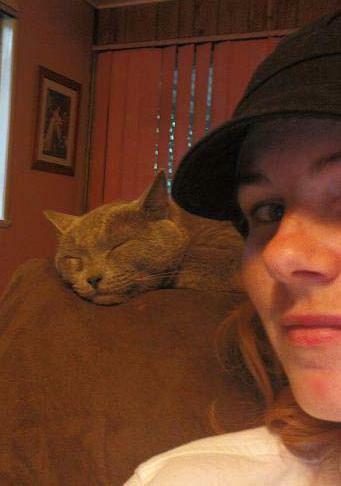 Baron was a grief relief cat. We’d lost Xavier, a fluffy gray cat, only a month before and we saw a fluffy grey kitten in the pet store and snapped him up. He was named for Baron Humbert Von Gikkingen the third from Studio Ghibli’s wonderful movies ‘Whispers of the Heart’ and ‘The Cat Returns’ (even though his colouring was much more like Prince Lune’s). When my parents moved in with us (yes that way around) Baron took a liking to my parents and received the nick name ‘comrade Baronski’ and the influx of adoring pats that came with it. Baron was always a laid back cat. He didn’t have the wild adventures of being lost and found that Grum did (or perhaps he kept his adventures secret better than she did) so there isn’t quite as much to write, but that doesn’t mean he was less loved. 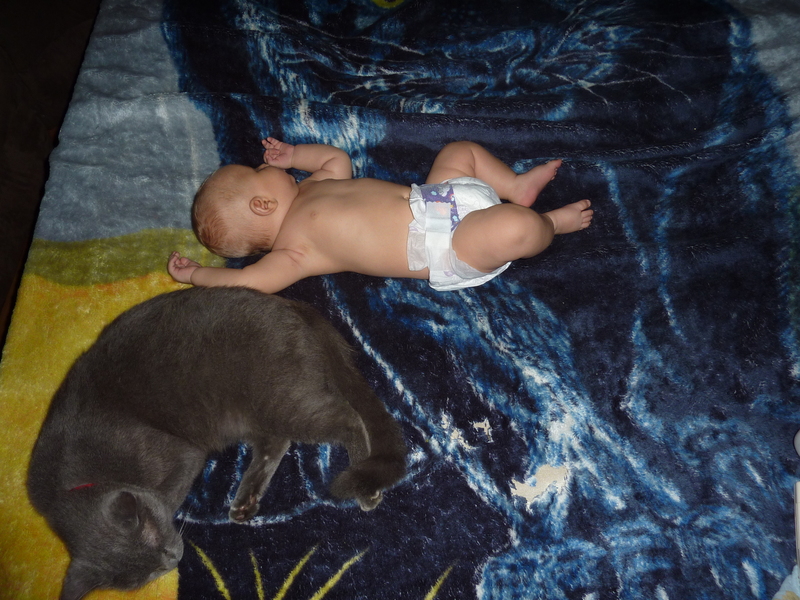 When Xander would nap on our bed or the fold out couch bed, Baron would often curl up near by for his nap too. Actually now I think of it, he was a very sleepy cat, ninety percent of the pictures I have of him are him napping in funny places. He was also fond of hugging things while he slept, like remotes. There’s a sad symmetry that it seems as though he died in his sleep, lying down like he always did, snuggled up on a towel. My poor sleepy Baron will have all the time in the world for napping now. What do you mean it isn’t my Christmas present? you didn’t need those pieces there, did you? Kirstie, I am so sad. When I saw the subject of the post I immediately knew. Baronski was a friend, and Mum and I will always remember him with happy thoughts. I am glad Mum is there with you tonight to help. Lots of love, Dad.